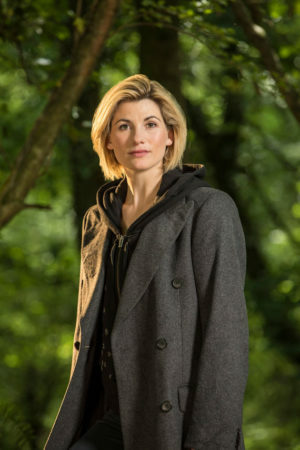 I chose the Greatest Actress camp before turning my mind to what possibilities a female Doctor will create for Doctor Who: RPG? Will this be doom or opportunity for Cubicle 7‘s game series? Before I get into the peaks and valleys of my speculations, let me offer some background. 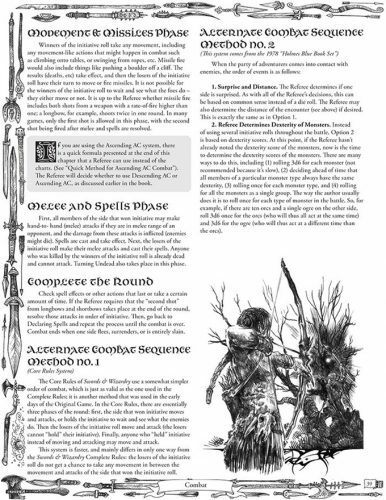 “…we were talking with designer Stacy Dellorfano about the fact that many OSR games have a physical appearance and presentation that really targets the 40 year old guys who’ve been gaming since forever, and doesn’t have nearly as much appeal to younger or female gamers of the generations following that first wave of players from the 1980s. 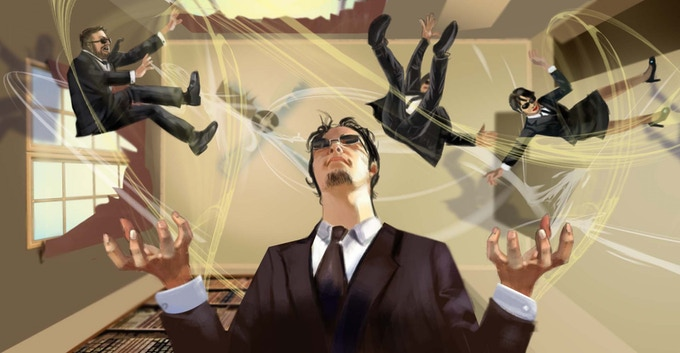 In point of fact, old-school games, with their light-rules aspect and emphasis on a game master’s “common sense” interpretation of situations, are actually a really good tool for anyone who feels like rules-lawyers may be spoiling the game by trying to be over-authoritative or even overbearing with a GM. But if the appearance and presentation make the game look like it’s purely a throwback and not a modern tool for good gaming, then there’s a real obstacle to the game’s push into the mainstream gaming community. Absolutely, Mr. Naysayer! Stacy and crew produced an iconic S&W 3e! Every page looks phenomenal and the book flows! This printing is beautiful. 1,213 backers on Kickstarter agree. 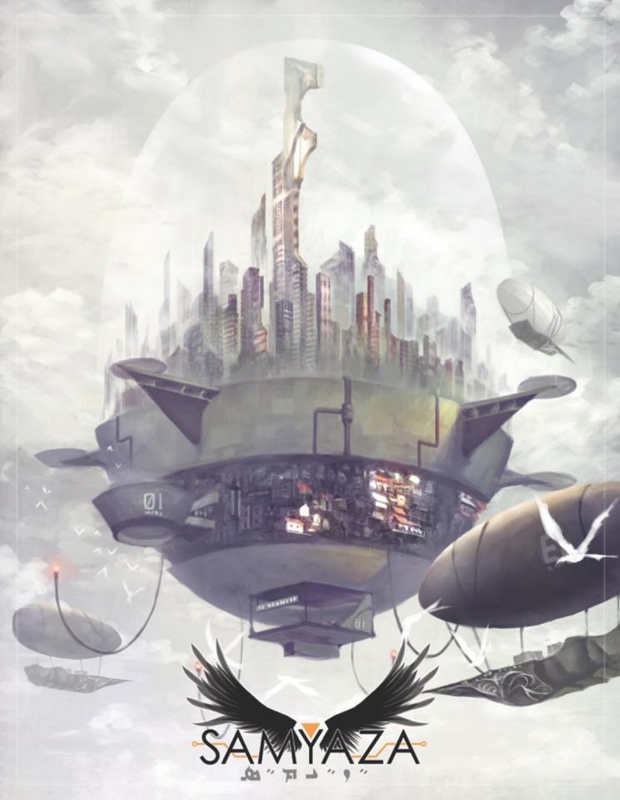 Since S&W kept the existing writing with upgraded art, let’s look at a different project, Atlas Animalia by Metal Weave Games. This book covers the biology, game hooks, and more for monsters designed for 5e, Pathfinder, FATE, and more, including OSRs. This is a book of terrifying beasts to slaughter, or be slaughtered by, for your RPG of choice and there are no men listed as writers or editors. The project looks first rate (as the image below shows). 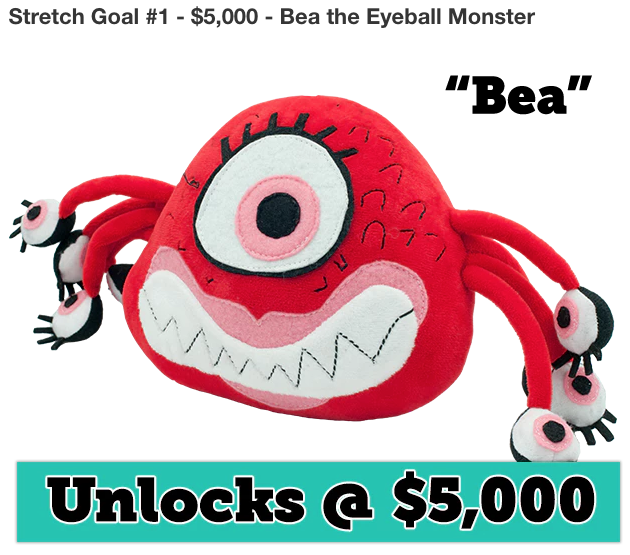 I was excited about this campaign (I covered it here) and I was not alone, 798 backers pledged their money on Kickstarter. 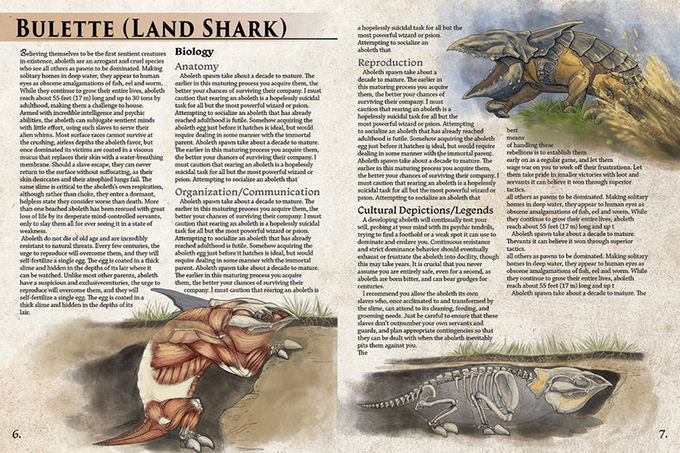 Atlas Animalia example page – LAND SHARK! Based on this limited sampling (it’s not even close to exhaustive), S&W 3e had two to six times as many backers as the other OSRs in this list. 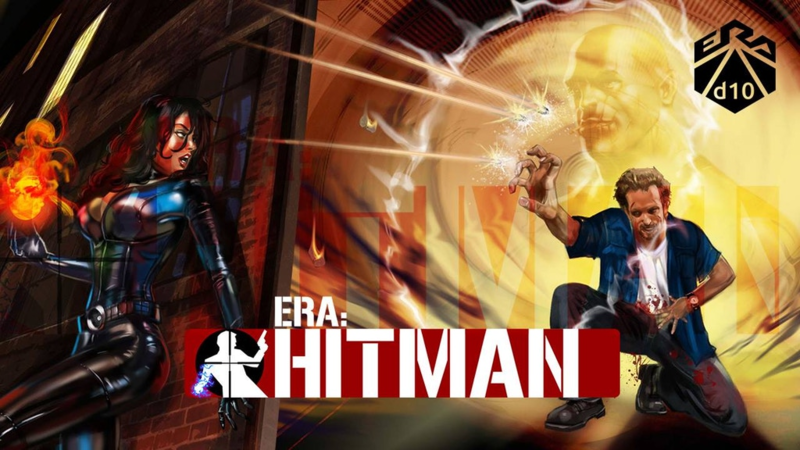 S&W 3e had more backers than some new editions of older games/settings (Alternity and Scarred Lands) while not as many as others (Torg: Eternity and Scion). Atlas Animalia fell into the middle of the range for these campaigns. If these lists (OSRs and monster manuals) were blended, Atlas would be on the upper half of the combined listing. While this is a drop in the ocean of market research, I’d still hypothesize that RPGs created and written by women do well in the gaming market. Do you think Frog God Games and Metal Weave Games made the right choice for their respective products? Jodie Whittaker is the 13th Doctor and Cubicle 7 makes Doctor Who: Roleplaying Game. When it comes time to produce the Doctor Who Adventures in Time and Space: The Thirteenth Doctor Sourcebook (2017-20?? 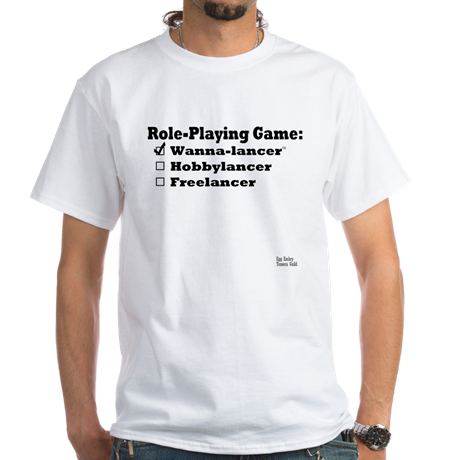 ), should Cubicle 7 put a female lead designer/female writing staff in place to handle this project? This is the opportunity to hire a heavily female (or completely female) staff to deliver this sourcebook. Frog God Games and Metal Weave Games had successes with female crews developing their products. There’s no reason to believe that a female Cubicle 7 team would not produce yet another AAA Doctor Who product. The serendipity-by-design of this would be the way to market it. 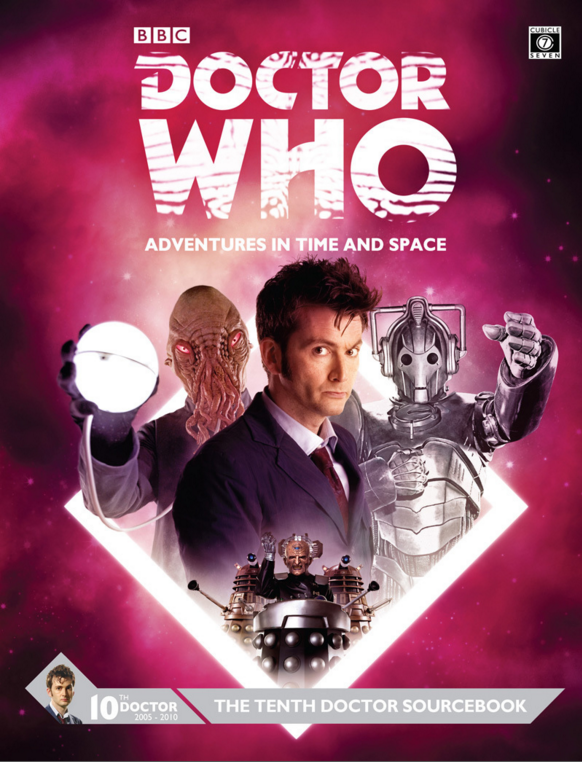 That said, while they’ll likely update the core rulebook to include the 13th Doctor in the near-term, Cubicle 7 releases their Doctor Who sourcebooks after the current Doctor passes the torch. We’re years away from the release of their 13th Doctor sourcebook. This debate has time for nuance. As a company, they’re doing a rocking job with the Doctor Who RPG. As such, when I composed this article I hated to suggest that they mess with a winning formula. If they keep with their current creative teams, I know they will deliver an excellent product. 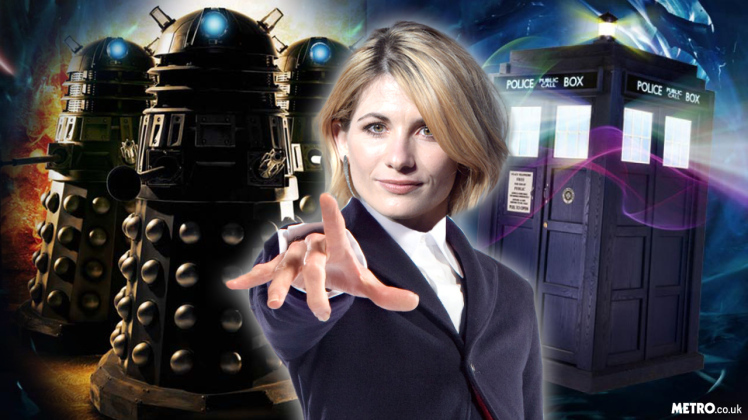 C7 has not announced their plans related to the 13th Doctor sourcebook and they should not until Jodie is ready to pass on the role. With the lead time that Cubicle 7 has on this, a company as competent as they are will gather together the perfect team to knock this out of the park! With their track record, I am confident they’ll make the best decision for their fans. SWORDS & WIZARDRY 3RD EDITION CHALLENGE! 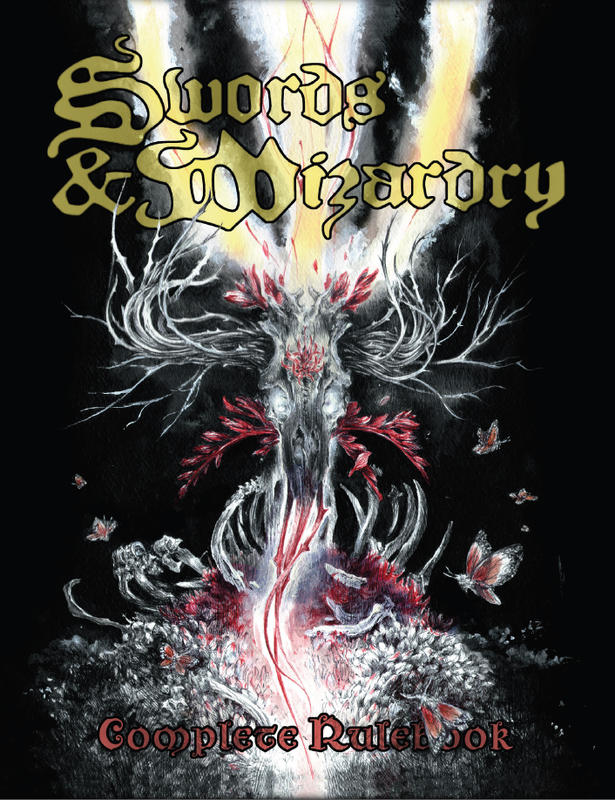 Am I telling the truth about Swords & Wizardry 3rd Edition? Does it really look amazing? Can women design the look of a retro-clone? Why, yes they can, but you say you need proof, naysayer? The proof is in the product and the product is a single dollar in PDF format. 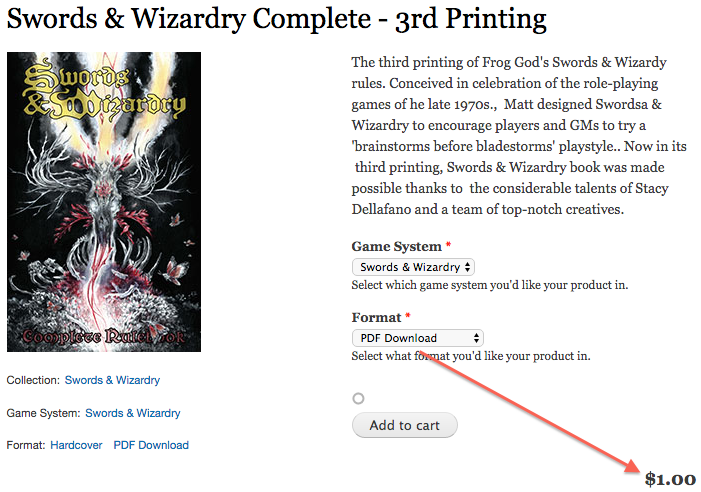 Over at Frog God Games’ website, you can pick up the PDF for a buck and find out for yourself. NOTE – When you’re doing the dropdown, it’ll say “-$33.99”. It’s confusing but you’ll see it’s one dollar at check out. Does S&W 3e and Atlas Animalia sound good to you but you wish there were a female-created board game? How about SPARKED: The hilarious and inspiring board game for women? A board game created entirely by women. 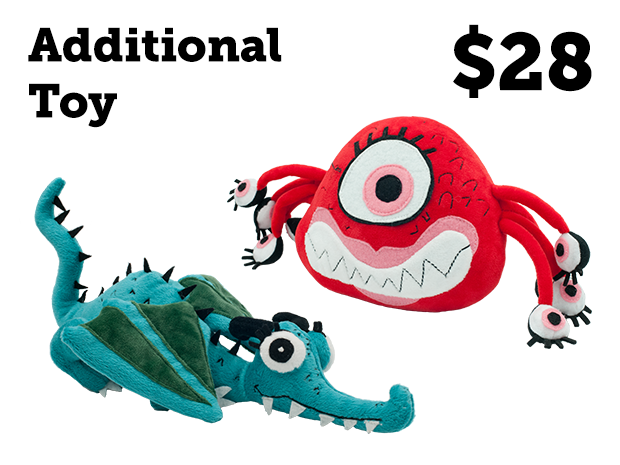 758 backers on Kickstarter. I’d like to thank every woman that ever gamed or created games or created art for games or thought kindly toward a gamer. You have made this world a better place. Thank you for all you’ve done for me. I cannot say that loud enough.